As 20th century geneticist J. B. S. Haldane famously quipped, “Teleology is like a mistress to the biologist; he dare not be seen with her in public but cannot live without her.” Teleology is the study of the purposes of nature. As a scientific discipline, it began its celebrated decline in the 17th century, with the birth of modern empiricism, and continued to plummet apace the rise of the Enlightenment, Darwinism, and quantum mechanics. Those who continued to think nature could be purposeful were primarily spiritualists, artists, or madmen, who credited the guidance of gods, muses, or fate. But could a wholesale rejection of teleology be an overreaction? Is there something in the idea, as Haldane implies, that we need? 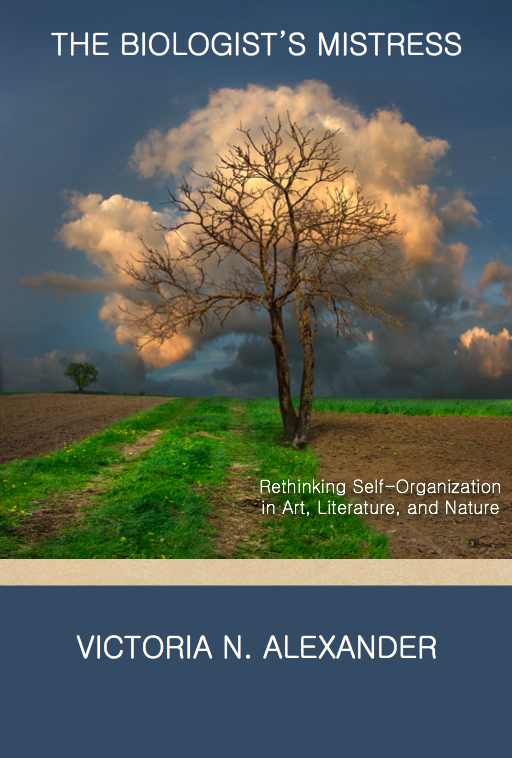 Drawing on her experiences as a complexity theorist, novelist and art-theorist, Victoria N. Alexander examines the history and practices of teleology, the study of purpose, in nature as well as in human behavior. She takes us “inside” paradoxically purposeful self-organizing entities (which somehow make themselves without having selves yet to do the making), and she shows us how poetic-like relationships—things coincidentally like each other or metaphoric and things coincidentally near each other or metonymic—help form organization where there was none before. She suggests that it is these chance language-like processes that result in emergent design and selfhood, thereby offering an alternative to postmodern theories that have unfairly snubbed the purposeful artist. Alexander claims that what has been missing from the general discussion of purposefulness is a theory of creativity, without which there can be no purposeful action, only robotic execution of inherited design. Thus revising while reviving teleology, she offers us a secular, non-essentialist conception of selfhood as an achievement that can be more than a momentary stay against the second law.